Silicon valley product group (SVPG) | Globonomics! I am a products person and have been in this field from the beginning of my career so this is the only language I understand. I am in a job where I have to travel occasionally and work across distributed time zones and multiple cultures/people and it is a very valuable learning experience in building products and productized service offerings for the future! 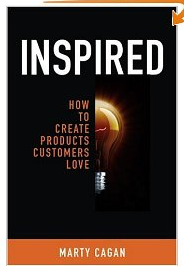 I am also currently reading up the book by the trainer – Marty Cagan – called Inspired – How to create products customers love. This is a logical and a natural progression to my EMIB skills imbibed since it combines my business skills with my technical skills acquired. I also got to visit my favorite product companies while in US thanks to my cousin – Apple and Oracle! Two technologies and companies I have worked with for a very long time now (Oracle since over a decade now and Apple 3+ years now!) and it was indeed a privilege for me to see my guru’s companies – the companies that Steve Jobs and Larry Ellison built that are rocking the technology world today with their breakthrough products!